Michael Grace, DFO’s offshore surveillance supervisor, looked at sea conditions during the 165 days when two mid-shore vessels based in Nova Scotia were in port or anchored — from April 1, 2017, to March 31, 2018. His briefing table on the “probabilities the vessels were being anchored based on wind speeds and sea conditions” was released to CBC under the Access to Information Act. “The vessels frequently did not operate in winds in excess of 20 knots, sea states under 2 metres,” the table compiled by Grace states. 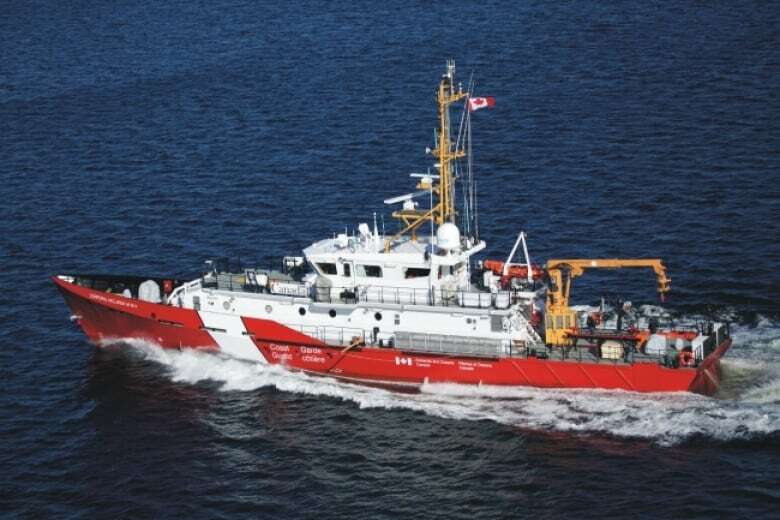 The Canadian Coast Guard did not comment on Grace’s report when contacted by CBC News. It has previously said some program tasks are delayed while vessels are in port, but they are still operational and available for other tasks such as search and rescue. The ships are expected to be operational for about 300 days a year. The Coast Guard said the vessels are safe and stable. They were built at the Irving shipyard in Halifax at a cost of $227 million. In the minutes, Emeneau said “G. Peddle was not used a lot due to sea conditions” during the 2017/2018 season. Brent Napier, DFO’S chief of enforcement operations, said in the minutes: “After discussing the same problem for several years, the frustration level is high.